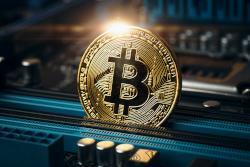 Independent Reserve is now offering insurance coverage, which it says is the first offered in Australia to protect against theft or loss of cryptocurrency in a trading account. The insurance policy is underwritten by provider Lloyd’s of London. It does not cover any losses resulting from market volatility or any losses arising from unauthorised access to trading accounts, such as hacking an individual account or identity fraud. The cryptocurrency exchange has also been working closely with various Australian regulatory bodies including AUSTRAC to formulate AML/CTF regulatory frameworks for the industry. “Institutions in Australia and overseas are cautious with regards to investing in cryptocurrencies and issues relating to regulation, price volatility and security are explored in depth,” Adrian Przelozny, CEO and founder of Independent Reserve said. “Insurance is the next logical step for our exchange in this fast-maturing industry. Our new insurance offering will bring new, meaningful and institutional capital into digital assets that was once sidelined. Founded in 2013, Independent Reserve has made a proprietary, institutional grade trading platform to allow consumers to buy, sell and invest in Bitcoin (XBT), Ethereum (ETH), Litecoin (LTC), Ripple (XRP) and other digital currencies. Australian finance industry heavyweights Mike Tilley (former CEO of Challenger Financial and chairman of Latitude Financial), Martin Rogers (KTM Ventures) and Steve James (Seer Asset Management) are investors and board members of Independent Reserve.